A literary and antiquarian periodical that also published local and domestic news. 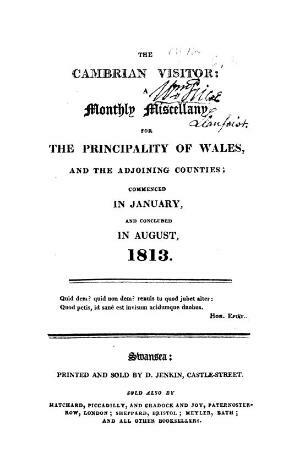 The periodical was edited by the journalist and biographer of Iolo Morgannwg, Elijah Waring (1787-1857). Associated titles: The Cambrian Magazine (1813).